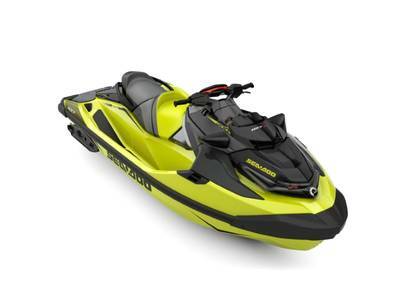 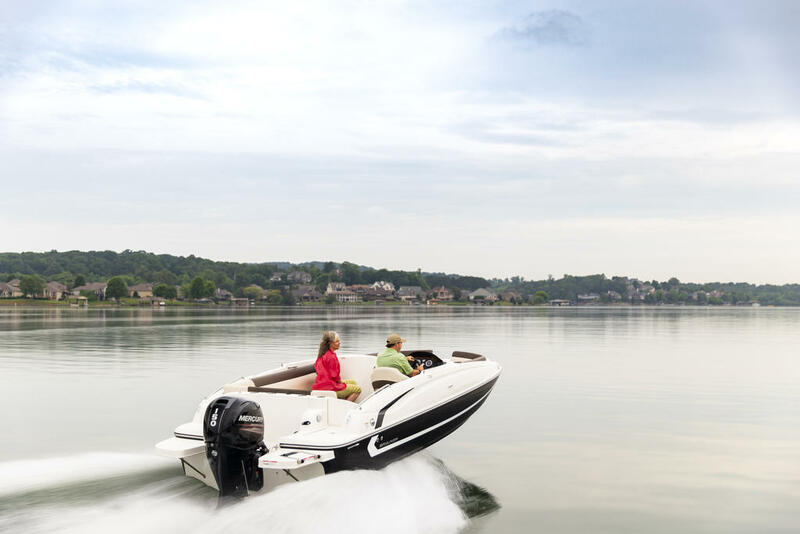 The VR5 builds on Bayliner's proven V-bottom bowrider heritage, while adding form AND function. 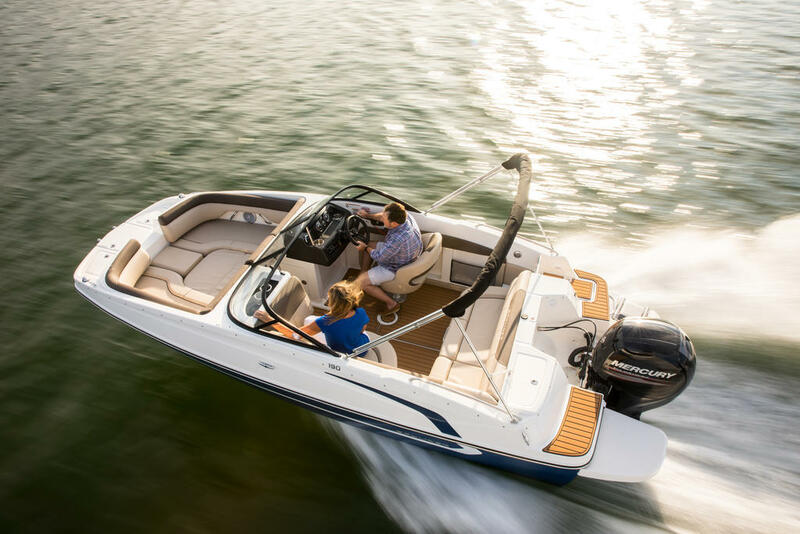 Forward, the boat employs Bayliner's category-leading BeamForwardÃ¢ÂÂ¢ design, which carries the full 8 feet of beam further forward in the boat than has been traditionally done. 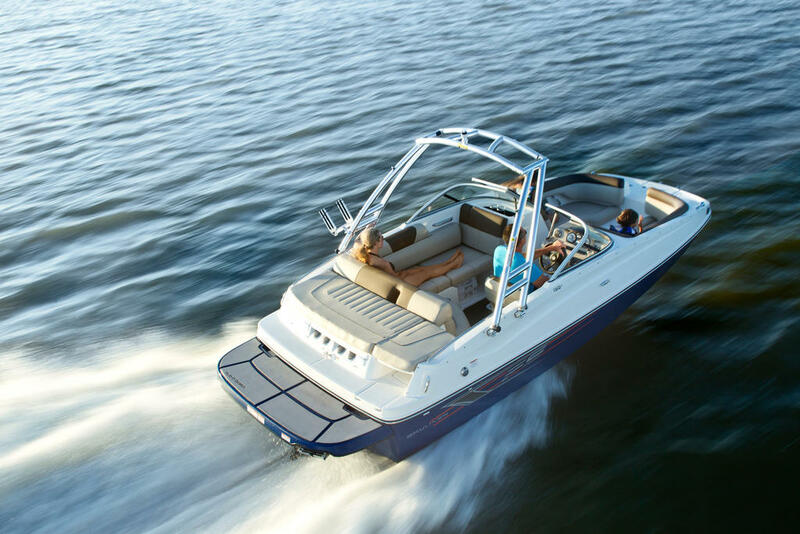 The self-bailing cockpit features Bayliner's new AftAdvantageÃ¢ÂÂ¢ design that increases the aft seating area by extending it to the aft most point of the running surface, then adding the swim platform at the end of the running surface. 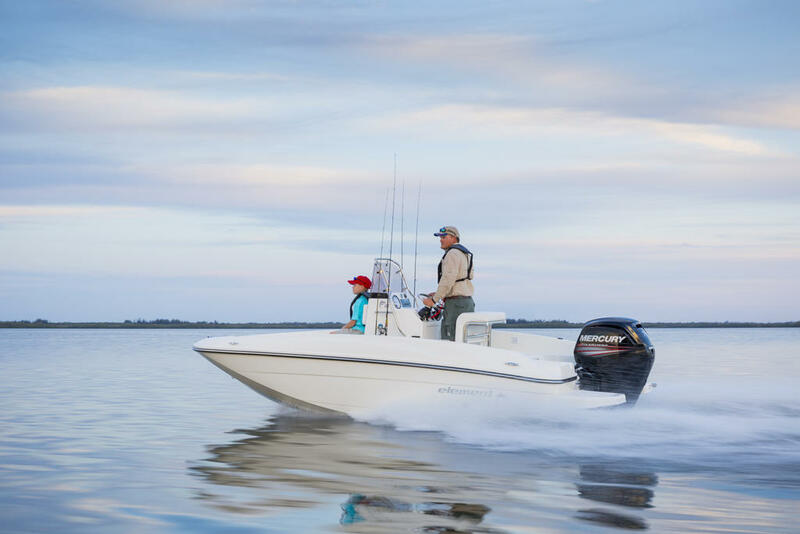 This keeps the platform apart from the usable interior space, rather than encroaching on itÃ¢ÂÂregardless of whether you choose outboard or sterndrive power. 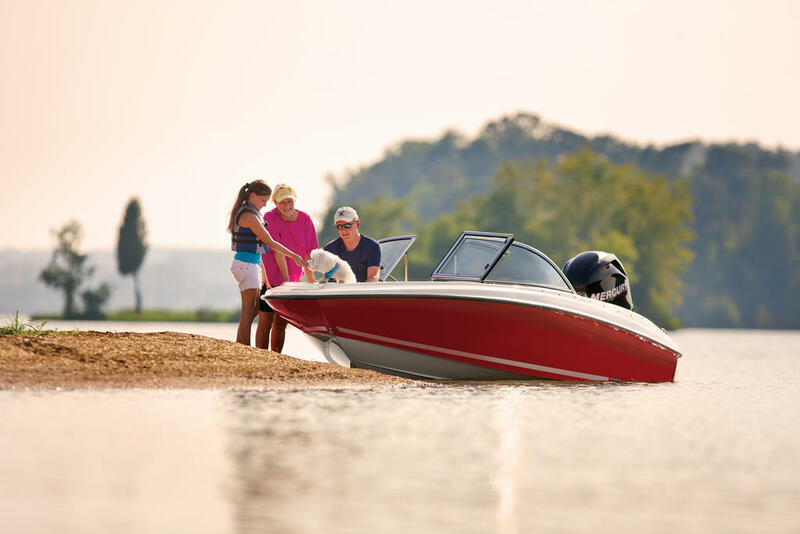 The result is a boat that maximizes space and value like never before. 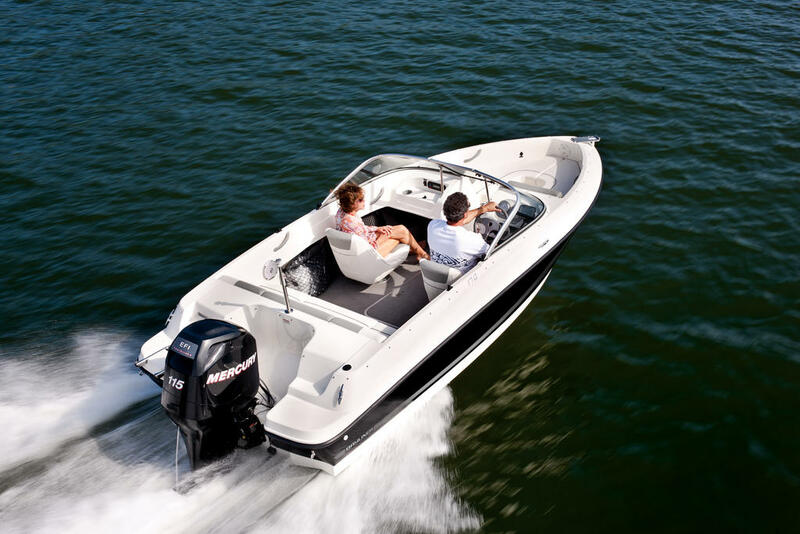 Ã¢ÂÂ¢BeamForwardÃ¢ÂÂ¢ design with high gunnels creates more passenger space, under-seat storage and safety. 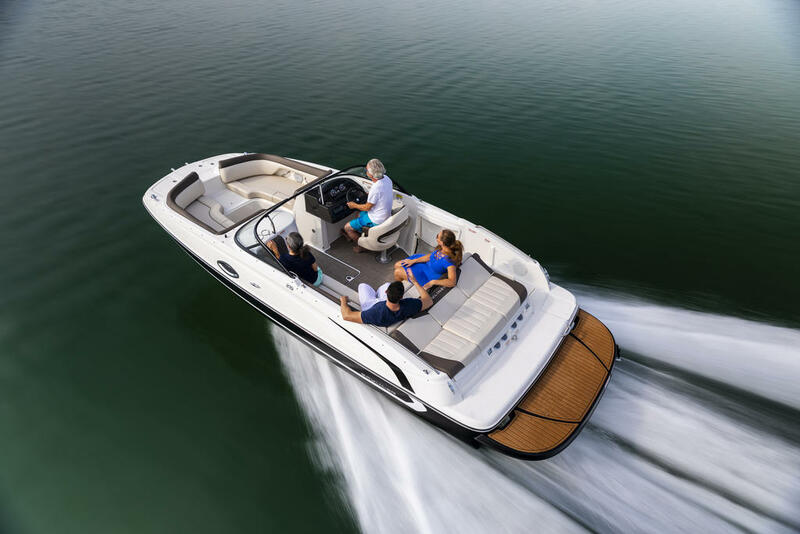 Ã¢ÂÂ¢Standard integrated swim platform and optional platform extension are positioned further aft than comparable models adding interior space while providing the ideal staging area for water sports. 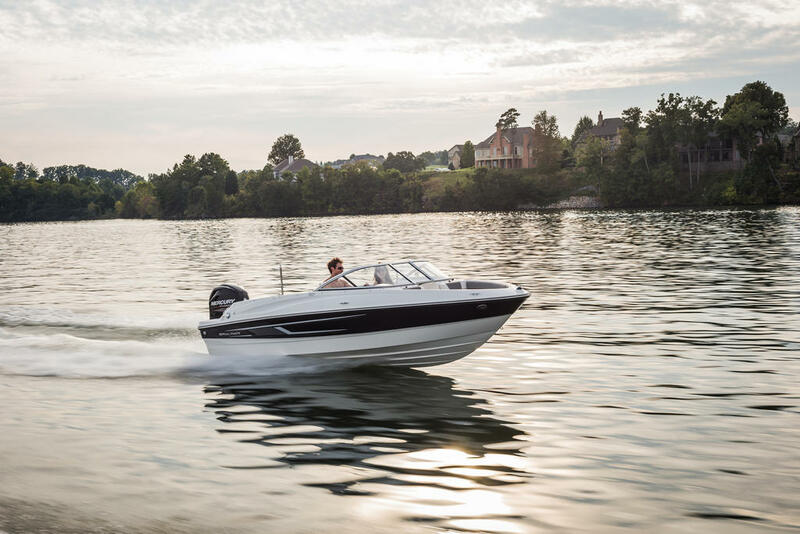 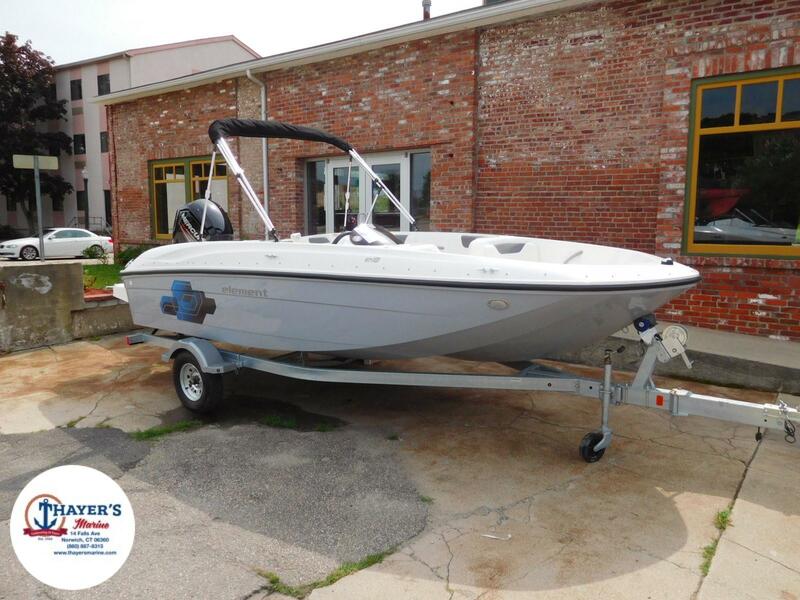 Ã¢ÂÂ¢Available Water Sports or Fishing Options let you customize the VR5 to suit your family's needs.